Through active investment, The Olayan Group has been a major participant in the development of Saudi Arabia's plastics industry. It is the majority shareholder of Saudi Plastic Products Company Ltd. (SAPPCO). SAPPCO was formed in 1973 to produce a full range of unplasticized polyvinyl chloride (uPVC) pipes and fittings to internationally recognized standards. By 1981, its manufacturing capacity expanded to 38,000 tons per year. 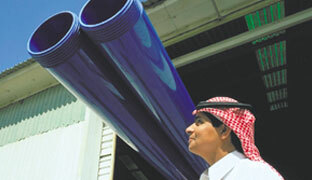 Since then, it has grown to be the largest plastic pipe producer in Saudi Arabia. SAPPCO's main plant in Riyadh is a model factory equipped with the most advanced extrusion machinery available. 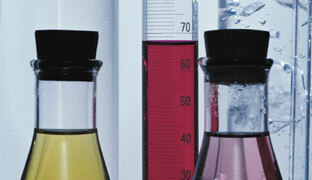 The facility also includes a fully equipped laboratory for the routine testing of all pipes produced at its factory. This ensures that SAPPCO pipes comply with both Saudi Arabian and international standards. SAPPCO has vertically integrated its manufacturing capability with an equity investment in the National Plastics Company (Ibn Hayyan), which runs the polyvinyl chloride plant of Saudi Basic Industries Corporation (SABIC) in Jubail. Ibn Hayyan, with an annual capacity of 300,000 tons of vinyl chloride monomer and 200,000 tons of high-quality PVC, produces the PVC used in SAPPCO's pipe manufacturing operation. Arabian Plastic Manufacturing Company Ltd. (APLACO) was formed in 1977 as a joint venture with George Fischer Ltd. of Switzerland, the leading manufacturer of pressure pipe fittings in Europe. The plant in Riyadh has a licensed capacity of 4,200 tons per year to manufacture uPVC pipe fittings. It is the largest company in Saudi Arabia to manufacture these products to the highest comparable international quality, ensured through a rigid adherence to set standards. Saudi Plastic Products Company Ltd. Dammam (SAPPCO-DAMMAM) was formed in 1976 to produce uPVC and High Density Polyethylene (HDPE) pipes for the Eastern province. Olayan is the majority shareholder. Its plant in Dammam has a licensed capacity of 12,000 tons per year. 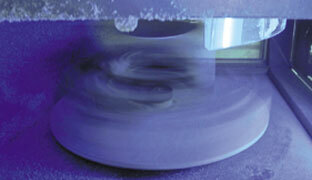 Pipes made of HDPE have proven very successful in the drinking water supply sector and irrigation systems. SAPPCO-DAMMAM maintains a continuous and strict control over the quality of pipe through every stage of its production. Routine testing of all pipes produced at its factory is carried out in its fully equipped laboratory which ensures that its products comply with both Saudi Arabian and international standards. Insulation Products Factory (SAPTEX) was formed in 1981 as a joint venture between SAPPCO and Texaco Saudi Investments Ltd. to produce and sell polyurethane insulation sheets. Its plant in Riyadh has a licensed capacity of 14,000 metric tons per year. It can manufacture insulation boards in a wide range of densities and thicknesses and with a variety of facing materials. In 1986, a new unit was added, which produced up to 90,000 linear meters per year of pre-formed polyurethane pipe insulation. In 1988, SAPTEX acquired the expanded polystyrene business of SAPPCO, creating one company to produce and sell both polyurethane and polystyrene insulation materials. The polystyrene plant, also located in Riyadh, has a licensed capacity of 4,200 metric tons per year. In 2000, SAPPCO acquired Texaco's share, and SAPTEX became 100% owned by SAPPCO.